What are the dangers of acquiring citizenship by investment? 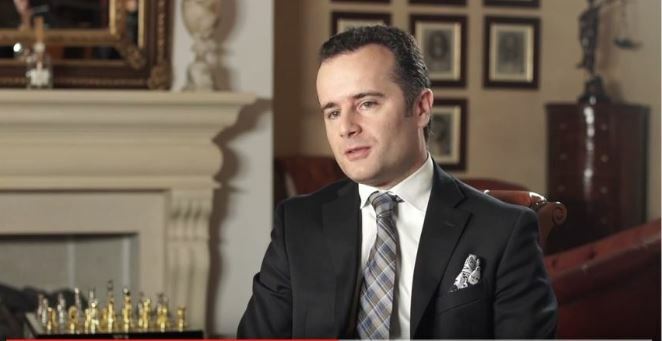 Legal Malta interviews International Citizenship Lawyer Dr Jean-Philippe Chetcuti in Valletta. For many international investors and wealthy families, the option of acquiring a second citizenship though a citizenship by investment programme, offers important opportunities for securing the future for the individual’s family members and their wealth. But does a second citizenship attract any dangers? What are the pitfalls in acquiring Citizenship by Investment? We spoke to global citizenship law expert Dr Jean-Philippe Chetcuti, who advises internationally on immigration law matters and has helped shape a number of citizenship by investment programmes. 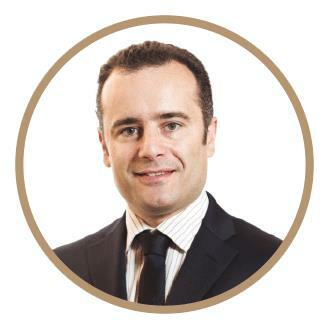 Dr Chetcuti runs an international law firm assisting high net worth families acquire second citizenship often as part of more holistic wealth structuring exercises. What are the Dangers of acquiring Citizenship by Investment? In reality, acquiring a second passport is quite safe when going through a regular citizenship by investment program and applying through a properly qualified and regulated international lawyer. In my practice, I have represented thousands of families who have successfully applied for residency and citizenship in European destinations and who have avoided the pitfalls of acquiring a second citizenship by proper planning and management of their financial affairs. Is Citizenship by Investment only about Citizenship Law? Applying for citizenship is not an isolated process and has implications on the family's legal and tax position under the host country's tax, succession law and other areas of law. My approach is to fully assess all aspects of an applicant's client profile, understanding their broader objectives, outlining their international footprint and reviewing all existing pre- / post-nuptual agreements, wills, trusts as other aspects of the family's financial organisation to ensure undesirable consequences are avoided. Does my Country of Origin allow me to acquire a Second Citizenship? Many countries prohibit or restrict the right of acquiring a second or subsequent citizenship. Others allow it but require their citizens to declare or report any new Citizenships or Residencies, on pain of administrative or even criminal fines, and at times with criminal liability. Many holders of second passports omit to declare these when necessary with no consequence but applicants are advised to check whether their country of origin provides for special conditions for acquiring second citizenship. Check out international law firm Chetcuti Cauchi Advocates' Dual Citizenship Report to see whether your country allows dual citizenship. What are the Risks of Rejection of a Citizenship Application? Under most citizenship by investment programmes, a prior criminal conviction, pending criminal proceedings or the listing of an applicant in a sanctions list is sufficient grounds for the rejection of a citizenship application. Political exposure or PEP status alone does not give rise to ineligibility, though PEPs are advised to seek professional assessment of their chances of success under any program. Globally, citizenship by investment programmes vary slightly in their appetite for granting citizenship to different applicant profiles so it is best to ask your citizenship lawyer about your chances of success. My law firm offers a free pre-application eligibility assessment that highlights any possible difficulties an applicant profile may present, advising on chances of success and where appropriate taking legal action to address such obstacles. Being a law firm, clients are able to open up confidential info in a secure environment protected by client-lawyer privilege and professional secrecy. Thanks to this approach, our firm maintains an enviable 100% success rate in citizenship applications. What are the Risks of Revocation of Citizenship once granted? In principle, obtaining citizenship through a citizenship by investment programme bestows rights of citizenship no different to other citizens who have acquired that citizenship through birth or through other means. However, often, citizenship is granted subject to certain conditions, including minimum holding periods for qualifying investments made under such programmes. For instance, the Malta Citizenship by Investment Programme requires new Malta passport holders to keep their properties for 5 years without subletting them, and to hold a €150,000 worth of Malta Government Bonds for the same 5 years. The Cyprus Citizenship by Investment Programme requries the €1.5m to €2m investment in property to be held for at least 3 years, with an additional €500,000 residential property to be kept for life. While this may be controvertial, violation of this requirement could theoretically results in the revocation of citizenship. Citizenship has been revoked in Cyprus where applicants have been found to have been fugitive outlaws or persons too close to the higher echelons of power of some countries. Citizenship granted under Citizenship by Investment programs is generally not revocable simply by the fact of having been granted under such program, and Constitutional and Human Rights legislation prevent the blanket revocation of citizenship unless on significant grounds. Are Citizenship by Investment controversial? Many countries have introduced citizenship by investment programmes in the last decade, with the objective of attracting talent and capital by offering citizenship or residency rights in exchange for the 'right' level of investment or contribution to the host country's economy. This is a good thing in its own right and, to the extent that this brings economic well-being and much needed talent to the country, this has largely been welcomed by the local populations. The subject is, however, a very politically sensitive one. In countries like Malta, for instance, where local politics is very polarised, the party introducing such programmes will face great opposition, often by factions within the opposition party (not even the whole party), who raise arguments against the 'selling of passports to wealthy criminals'. Malta's excellent track record of granting citizenship only to reputable and internationally respected individuals has largely diffused such concerns. See Accolades for Malta's Citizenship Due Diligence. Do I need legal representation to apply for citizenship? How do I chose a citizenship lawyer? The citizenship by investment industry has become more and more accepted and widespread and hundreds of consultants from all sectors have jumped onto the gravy train of the 'selling of passports'. This results in a degradation in the quality of the legal advice provided in the selection, pre-planning and applications under citizenship by investment programs, with advisors at times succumbing to financial interests rather than what is best for the client. Look for a lawyer who is licensed to practice in the country of application or a law firm with local lawyers experienced in citizenship applications, rather than multi-service law firms. International consultancies tend to be distant from the law on the ground and, while useful in program selection, might not possess the holistic legal know-how to full cover all the requirements. Look for international tax and international law competencies to ensure proper handling if a citizenship by investment project. Cheaper is more expensive soon enough. Legal fees are often high but not in proportion to the level of investment required for citizenship purposes. The size of the legal fee should reflect a holistic legal service rather than a simple application service. For many high net worth individuals, the option of acquiring a Citizenship though an investment scheme, like in Malta or Cyprus, gives many opportunities for securing the future for the individual’s family and assets. However not many people know, that if not following certain rules and procedures, they can have significant trouble while obtaining the second citizenship. We were trying to find out, what the main dangers are and how you could avoid those obstacles. Therefor we consulted our Residency and Citizenship expert - Dr. Jean-Philippe Chetcuti. Does one need to report the second Citizenship to his home country government or authorities? Many countries do not allow double Citizenship, and even those which do, ask their citizens to declare or report any other Citizenships or Residencies of other countries. Those who don't comply with this requirements, may end up by getting fines or in the worst case losing their Citizenship. It can be avoided through honest and straight consultation from an expert in this field. Many commercial companies, which are offering Citizenship by Investment schemes, are mainly concentrating on selling them, rather than properly advising the client. Consulting reputable and reliable law firms, especially those, which are based in the country of the desired citizenship, could provide a more superior advise, rather than a “sales pitch”, due to having experience with dealing with all sort of clients, as well as with authorities on spot. How could I find out, if a second Citizenship is allowed in my country? The first and easiest way would probably be, to contact your home country authorities directly, however this may result in being asked "too many questions" by the government authorities in certain jurisdictions and many individuals interested in second citizenship, may want to avoid this. A second option is to acquire a "Double Citizenship Report" which states the laws on double-citizenships on a list of certain countries - this may help in taking the decision if the acquisition of a second passport would result in problems in your home country. What are the risks of revocation, how can one avoid them? Many people don’t consider that successfully obtaining a citizenship through an Investment scheme, does not mean that the Citizenship can never be lost. It actually can, as many schemes have requirements with which you have to comply even after receiving the passport. Speaking about the European Programs, both Malta and Cyprus have requirements to comply with, for 5 and 3 years, after obtaining the passport, accordingly. This means, that only by investing and obtaining the passport, the "job is not finished yet". You have to be very careful on management of your assents which were invested in a certain scheme to avoid a possible revocation. Reliable Law Advisors usually offer an "annual compliance" service for the compliance period to help individuals avoid possible problems. We also have been discussing this problem earlier here. Are any scandals related to Citizenship by Investment? We see that in any program or scheme, where big assets are involved, scandals and negative press publications often take place. In some countries those are related to press blaming the government for selling their passports for "rich foreigners" without caring for the local population. In other countries the scandals may be related to individuals, who acquired the citizenship through investment while having criminal or scandalous background. To not end up in a scandal, it is recommended to choose the jurisdiction for your second citizenship wisely, as due diligence and background checks in different countries are being conducted with different accuracy. Malta, for example, is known as having the most though Due Diligence process, not to allow foreigners with criminal background or bad reputation to participating in the Citizenship by Investment scheme, what however may cause you problems if you are not willing to disclose information about you to the authorities or if "not mentioning" certain facts. By consulting law firms, instead of "commercial agents", you are always on the right side. Not only because law firms are bound by professional secrecy: the lawyer-client privilege and a lawyer would be able to advise you in advance, what problems you might face, instead of just trying to sell you a product.